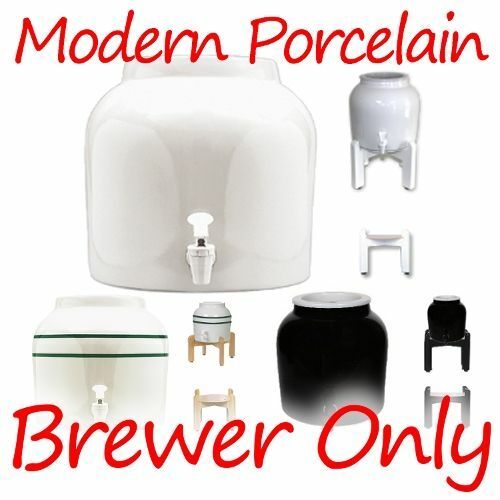 These high quality brewers all come with a custom KKamp Brewer Cap in your choice of color as well as a stand (except the Stoneware, no stand needed), easy to understand Support Materials, the same great Kombucha Mamma warranty as all other packages, and of course FREE SHIPPING! Give the Kombucha brewer space - it can be so exciting to brew homemade Kombucha that you may be tempted to check on it a lot but really it is best to leave the Kombucha SCOBYs and brew undisturbed inside the vessel. Give the entire brewer a little space away from high-activity areas where it will be at risk of getting bumped into often. On that note, keeping the Kombucha brewer further from doorways and windows may help maintain a more consistent temperature as well, by avoiding cool drafts. If appropriate for your vessel, use a stand instead of placing the brewer at the edge of a counter. 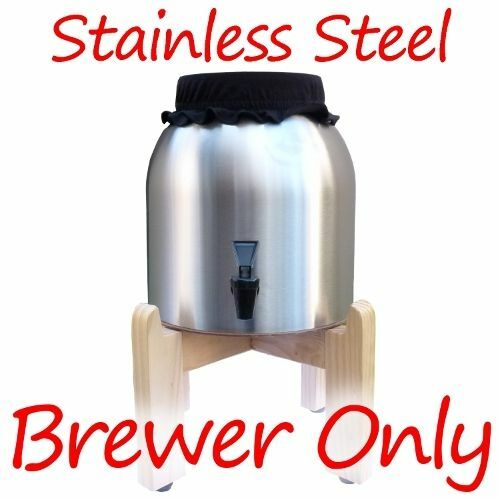 Buy a quality brewing vessel - a sturdy Kombucha brewer, made from high-quality, Kombucha brew-safe materials such as our Modern Porcelain, Handmade Stoneware, Stainless Steel, or Toasted Oak Barrels, will not only provide a suitable home for the brew but also withstand more abuse than low quality or thin glass Kombucha brewers. 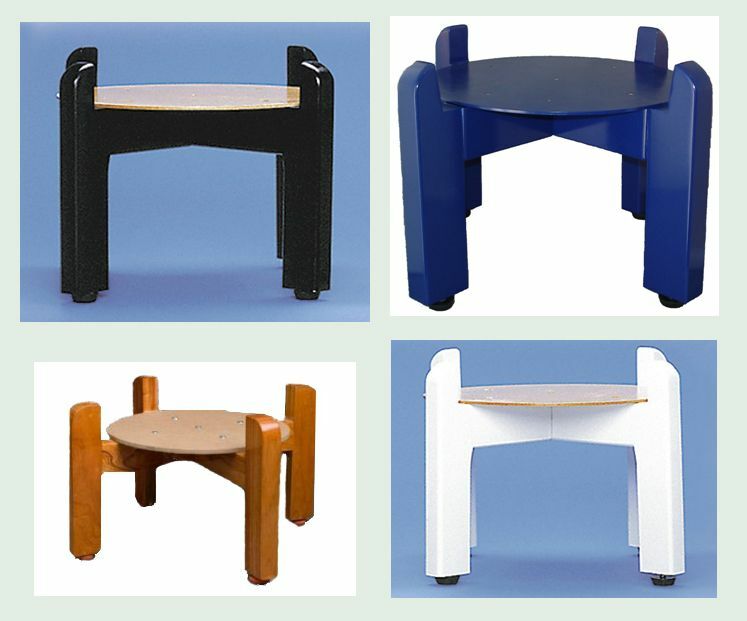 Place the vessel on a stable surface - whether the Kombucha brewer goes on your kitchen counter, in a pantry, or on a brewing stand, choose a flat, non-slippery surface. If storing the vessel on shelves, make sure they can withstand the weight of the container AND all of the Kombucha inside. It may not seem like it'd be that heavy, but 1 gallon of Kombucha tea and the SCOBY will weigh about 8.5 pounds. If brewing multiple gallons at a time, that weight definitely adds up! Use a high-quality, Kombucha brew-safe spigot – without a spigot, harvesting the ready Kombucha is a challenge. Most homebrewers prefer to avoid the mess (and risk of damaging the vessel!) 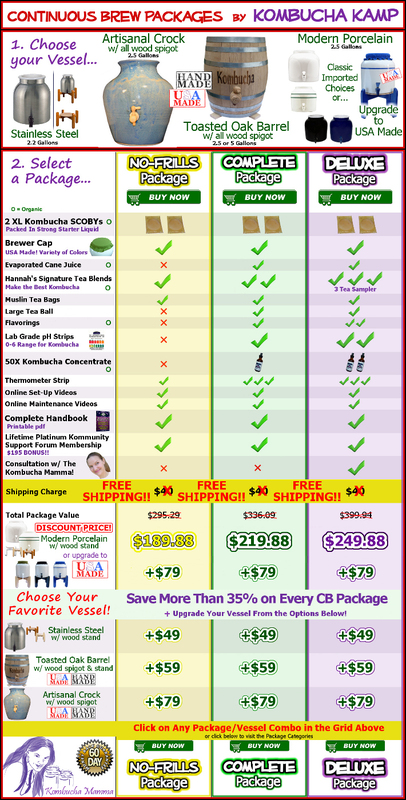 associated with trying to pour out or scoop out Kombucha, which is why Continuous Brew is so popular and a spigot it always recommended for CB. The quality of the spigot is also critical, as the low- grade consumer plastics used on most commonly available beverage dispensers are not intended for fermentation. Using these low quality spigots can lead to plastic chemicals in your brew, the opposite of our intention when making a healthy beverage at home! 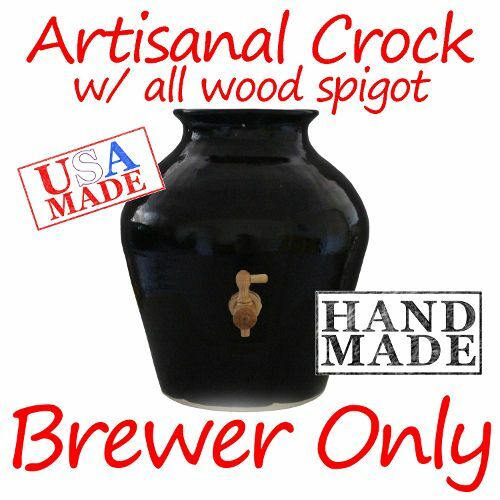 To avoid this issue, always use professional grade spigots such as our USA made plastic or the highly popular 304 grade, Kombucha-safe stainless steel spigot option, which comes standard with all our Stainless Steel vessels or can be added to any Modern Porcelain vessel. Both are great options but the stainless steel spigot does have a nicer flow due to the easy faucet-style operation. Most importantly, make sure any spigot you use can be fully removed for cleaning and that no glues or epoxies have been used to assemble the spigot or attach it to the vessel. 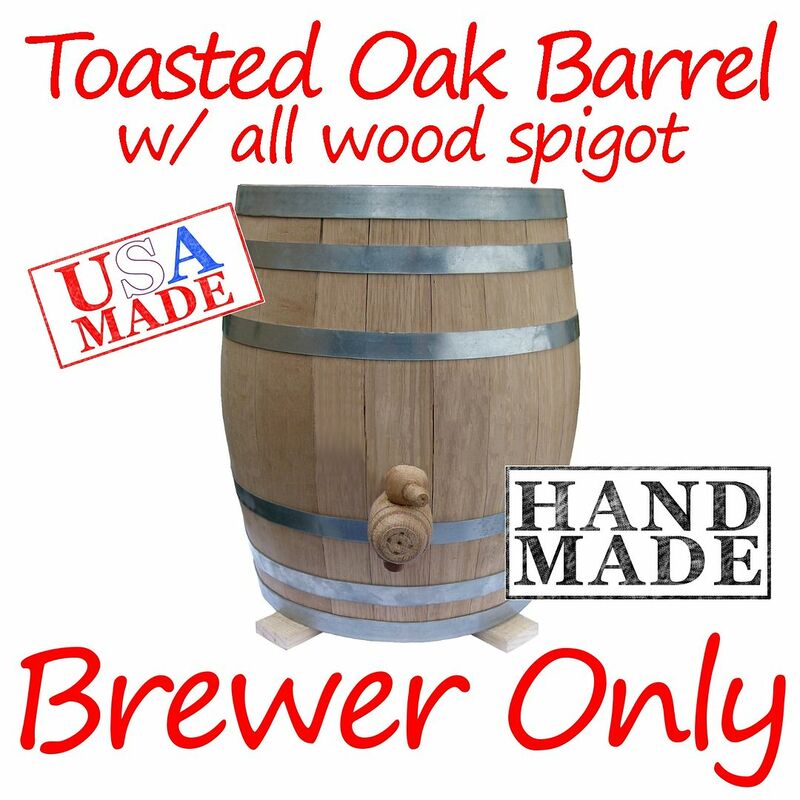 You can’t go wrong with any KKamp brewer spigots! What to Look for in a Brewing Vessel? Spigot - a high quality, brew-safe spigot for drawing out brewed Kombucha without the mess of removing SCOBYs or re-setting the brew; the spigot must be removable for cleaning (no epoxies or glues used in the assembly) and contain only brew safe materials such as professional grade plastic, stainless steel, or wood. 304 grade stainless steel only – whether in the vessel or the spigot and assembly, no other metal is acceptable for use with Kombucha besides stainless steel 304 grade or higher. Other metals will leach toxins into the brew. Avoid plastic vessels – while some high-grade plastics may be safe, most plastic vessels are not intended for the high acidity of Kombucha. 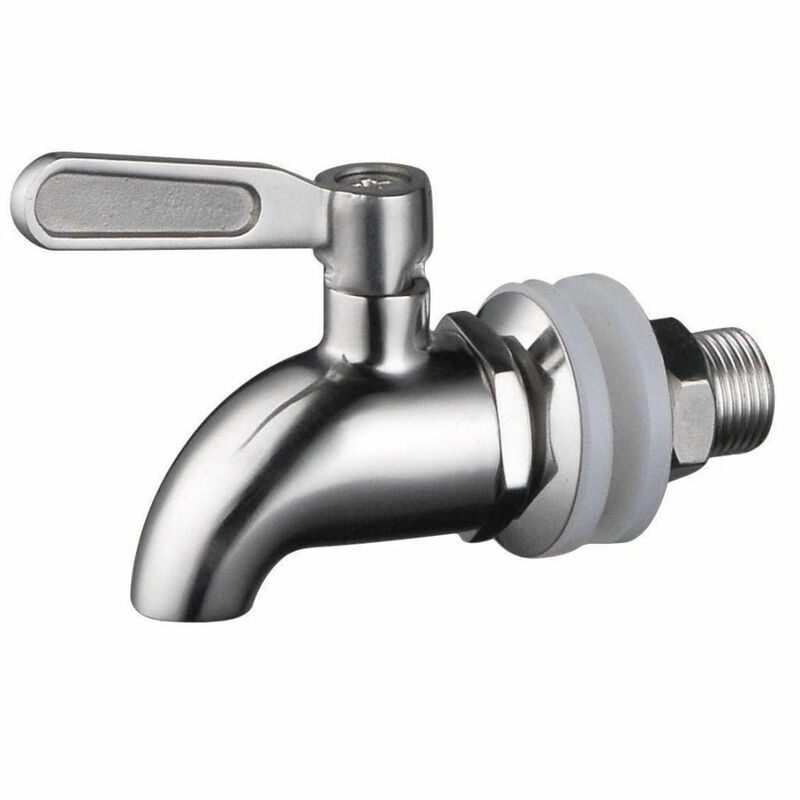 High quality professional grade plastic spigots are acceptable. Smart Design - not only do you want a Kombucha brewer that will look good in your home, the brew requires a wide mouth vessel to provide airflow and easy access to the cultures. Lead-free - as beautiful as crystal is, it is traditionally made with lead, an absolute no-no. It's also best to avoid ceramic or pottery containers that were never intended for food use, since they might contain glazes with unwanted chemicals. Never…Refrigerate the SCOBY or starter liquid for brewing - just don't do it!